The real estate market in Indianapolis has changed almost overnight into a seller’s market. With inventory tighter, homes are selling more quickly and often for more than list price. Many home buyers are left empty handed when they are one of several offers. How can a buyer be prepared for multiple offers? Make sure you have a pre-approval, not just a pre-qualification. This can strengthen your negotiation power when submitting an offer and allow you to close quicker, if needed. Search homes within your comfortable price range. It’s not the time to look at homes listed at 5 - 10% over your maximum loan amount, especially if they are new homes on the market. Be prepared to offer more than list price and also be prepared to walk away. Keep your emotions in check and try not to become attached to a specific home in a bidding war. If you are paying cash, you can consider removing your appraisal and inspection contingencies. We don’t recommend waiving your contingencies, especially if you are financing your purchase. Your lender will appraise the home. By removing your appraisal contingency, you will be responsible for the difference between the appraised value and the price you offered. Inspections are equally important! Buyers should know the condition of the home to request repairs and/or factor future repairs into their budget. You don’t want to inherit major defects. 5. Know market values. Your Realtor can help you here! Determining the maximum amount to offer can affect your future ability to sell your home. Realtors have access to data on homes and neighborhoods similar to the one you are considering and can access it quickly. There are many factors in determining market value. 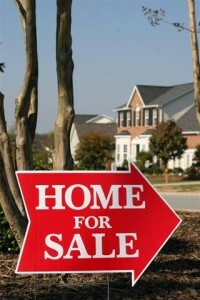 Your Realtor will also be an important resource for finding homes as soon as they come on the market. If you are depending on automated updates from a local website, you may not know about a new listing until the day after it is listed. You will also need to be diligent in viewing homes once your Realtor has located one matching your criteria. Often, one day can make a difference. 6. Be creative with your offer! Offer higher earnest money than normal. Find out what’s most important to the seller, whether it’s closing date, possession date or another benefit you can assist them with. You can limit the time frame in which you do your inspections. Offer to get them done more quickly, but make sure your inspector can make it. There are several ways to write a contract netting the seller more, while not having to increase the purchase amount. If you can afford to pay for a few of the seller's fees upfront, it could make a difference whether your contract is accepted. We have the same issues here in Miami. It is now a sellers market and many of my buyers are losing out to all cash offers with no contingencies. Hard to beat a cash offer when you have financing. Our resale market is finally starting to pick up here in augusta, ga. So now we are also starting to run into more and more bidding wars. Here in New Jersey, in many cases bidding wars are being won by those buyers willing to not only pay more but who agree to cover any shortfall between the appraised vs the offered price. Exactly the kind of irrational behaviour that contributed to the market meltdown in 2008.